We all know that at this time, Google rules the world...the internet world that is. Since that's where I spend a lot of my time due to this blog, the decisions Google makes definitely affects me, for better or worse. Unfortunately, the moves Google's been making here lately are definitely extremely self-serving and actually quite unfair. For instance, you know the targeted ads that Google sponsors through Adsense? Well, Google is hiding behind the rouse of privacy concerns to basically weed out and eliminate the advertising competition. Read more about it through Joost de Valk's timely post, "Google Whores Out Users with False Privacy Claims". Of course, Google has already stepped on my toes by eliminating Google Buzz, which I used religiously, and now I've reached my breaking point with the recent announcement that Google is also eliminating Google Friend Connect FOR EVERYONE WHO IS NOT ON BLOGGER. What kind of self-righteous crap is that? If GFC turned out to be a bad idea or doesn't make the impact you had hoped for, you eliminate it completely...across the board. You don't weed out a select group of people to keep it instated for and then poo-poo on those of us who have gotten out from under Google's controlling and tyrannical blogging platform. So what's the alternative? Well, Google is now trying to push all of us to use their new Google+ pages, because Google+ is out of Beta and open to all. But unfortunately, I think Google+ is a joke and I don't care for it. I tried using Google+ for my own personal page and don't think that it can hold a candle to either Twitter or Facebook. 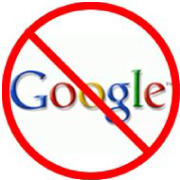 I also will not be opening a Google+ page for this blog now on strict principal. I do not like the heavy-handed approach of eliminating GFC and then oh-so-gently being told that my only option is Google+. Because of this, dear readers, you don't have to worry about seeing Mommy Living the Life of Riley in a Google circle anytime soon. I would really appreciate my readers to follow me via Facebook, email newsletter or through RSS Feed, but because I realize that there's not a one-size-fits-all option for every one of my readers, I decided to eliminate the mandatory entry for me and just up the number of entries you can receive for following my blog by one of the three methods listed above. I'm very interested to hear your thoughts on the recent controversial changes from Google as well as what you think about the giveaway entry changes I've made. If you get a chance, please leave a comment below and let's discuss! I’m not happy about the change either. I’m really not on board with the google + train. Glad to know I’m not the only one. I hear that some people love Google+, but I just don’t get it. I’m definitely a Facebook and Twitter gal! Here, here Chris! I completely agree…I’ve heard that the stint into Google+ is not having near the effect or the turnout that they had hoped and I definitely see the elimination of both Google Buzz and GFC as a last ditch resort to drum up some interest in Google+. Yes, it was definitely a sad day when I took mine down yesterday. I just kept thinking back to all of the hours and hours I spent trying to bolster my numbers through various blog hops, etc. for almost two years. Unfortunately, I’ve also heard it through the grapevine that in another attempt to put Google+ on the map, Google has already started tying SEO benefits to using Google+. There are no SEO benefits to using Facebook and Twitter right now, so this would be a huge game changer in Google+’s favor. I’m hoping that Facebook and Twitter will be changing this soon. I fully support not having GFC as an entry. There are many other entry options! I know, all that time building gfc and then… I like the personal Google + page I made and found it harder to use the blog page I made simply cause you are limited in who you can follow. The verdit is still out.. we will see. Unless this is done away too before then. Oh, wow! I didn’t know there were limits on the blog page variety of Google+…that’s kind of weird. But I feel like you do too about Google’s modules being sort of flighty now. I just hope they don’t do away with Feedburner…I think that would hurt most of all! I have to say that I try to stay positive and inspirational but I have to say that I am not happy with Google removing GFC! I have contemplated my blog post about this and I can’t find the words regarding this “mandatory” change to google +. I have refused to open an account and hopefully if others take a stand it will not go away! maybe we should petition Google. I think all of that worked so hard to gain followers on our blogs should take a stand together and maybe we can get Google to see the error of their ways! I’m annoyed that they’re dropping GFC, too. They say they’re eliminating some of the “less popular” apps, but almost every blog out there uses GFC, so how does it qualify as not popular? I got a scary taste of how much Google controls the internet a week or so ago when they randomly disabled my account. I think it may have been because I posted a LOT of comments on one blog within a short period of time, I was catching up on giveaway entries, but they never gave me any kind of explanation. My account was only down about 2 hours, but since everything is linked to Google these days, that meant no Google Reader, no YouTube, no Blogger, no Google Docs, etc. I was freaking out! I agree Mary! I found G+ very hard to use too, which was rather surprising, since like you, this isn’t my first rodeo in the social media arena. In the end, I just thought it was a glorified chat room and wasn’t that interested in it. The chat rooms died for a reason and I’m kind of surprised that Google didn’t make G+ a little more like Facebook. But I guess they didn’t want to be accused of just copying Facebook, though honestly I would have liked it more if they had. As for the people in your circles thing, I think I might be able to help. If you go into your Google+ account and then click on your own name so that you are indeed in your own account, look along the top of the page at the icons there. You should see 5 icons, along with a Google+ search bar. The fourth icon from the left is your circles icon. Once you click on that, you’ll see a detailed list of who you’re following as well as who’s following you. I hope this helps! You’re so right Tiffany! Now that my blog has become a home business for me, I definitely wouldn’t want to be hosted on Blogger either because you are then completely at their mercy (or lack thereof). I want to move my blog to WordPress and am finding the directions to do so rather daunting. I’m going to hire Blogelina to do it for me. I’m using G+ in giveaways because fight as we will, it’s not going anywhere. They’ve invested too much in it. Personally, I’m not a big fan of G+. That may change when I get used to it. HootSuite is in the process of adding it to there platform, though, and once I’m able to update at G+, Twitter, Facebook personal, Facebook blog page, and Facebook groups that will be pretty cool. Thanks for your comment Jayne! I didn’t know that Hootsuite worked with G+ which would definitely make it easier to use. That’s one of the reasons that I haven’t liked it so far…it just doesn’t fit in to what I do social-wise and I’ve been having a hard time making it fit. Kind of like a square peg in a round hole. You’re right about the G+ movement too…resistance is futile, so maybe one day once I calm down over this whole GFC thing, I might have to reconsider using G+. I completely understand where you are coming from with this it’s is crazy for them to do this. However, I don’t care what they say the reason is, the reason is “it’s a punishment” because you switched to wordpress over them. That’s what it boils down to. I am still on google so I will keep my gfc. You guys switched & it pissed them off plain & simple so they are taking away the one option of their’s that you loved using! This is how they are getting back at you. I couldn’t agree with you more…which definitely scares me about the new attitude of Google. It makes me very wary of using any of their services now because I keep wondering how long it will be until they take away Google Docs, Feedburner, etc. Maybe the next strike they’ll make is taking these services away for those of us who refuse to use Google+ since that’s the obvious push they’re making. UGH! I’m just a follower and, after finally learning all the procedures, I’m finding Google + very confusing. I can’t even find decent directions on how to add someone to my circle and then I’m not sure if they are added. I always thought RSS feed was just for bloggers. I also don’t know anything about WordPress. If you want followers who don’t have a blog, then the mandatory entry will have to be something everyone can use. By the way though, you don’t have to have a blog to subscribe to an RSS feed. Subscribing to an RSS feed is just a convenient way to get all of your favorite blog’s information and posts in one easy location. That way, you could subscribe to as many blogs as you want and scan all of their posts in one place. I too am mad about this. I would have been happier if they would have said no GFC for anyone instead of blatantly discriminating against those of us who have been using it for quite some time yet not using Blogger along with it. I consider myself very computer savvy and I played around with G+ for a bit today and was very unimpressed. It is very clumsy and uploading a single picture takes way too long. I will be subscribing to the feeds of all of my non-Blogger friends and I hope people will return the favor to me! Thanks so much for your comment, WeeMason’s Mom! I’m glad to hear that even someone who is very computer savvy dislikes G+. I thought that perhaps it was just me and that if I was a little more computer literate, I would see what it is that I’m supposed to be impressed with. I too, don’t understand why Google has decided to play favorites with their access to GFC. Seems very childish to me, which isn’t the behavior I would expect from the company who basically rules the entire internet! I agree. That is complete crap. I recently discovered how “selective” Google can be when tinkering with WordPress. I quickly realized that although Google Friend Connect was previously available–there was no way to now install it if and use it. That privilege was for those who had discovered WordPress. If you were lucky enough to get in on it then, fantastic. If not, well… Google sure didn’t seem to care. And you’re right, it is a completely selfish and unnecessary move on Google’s part. Thanks so much for your comment. I’m so glad to hear that you feel the same way about Google and their elitist practices. Oh, how I wish someone could bring them down a peg or two, but I guess when you rule the roost like they do, there’s no one that will be able to do that anytime soon! Have a great day! I am telling ya something is going on with Google…. I am a longtime email subscriber via Yahoo and I havent gotten ANY feedburner for 3 DAYS! Feedblitz is coming through but not the other :/ I am wondering what the deal is…. Here are two search strings for the same thing, “I’m going crackers disneyland” (without the quotes). Notice in the second link, there is no content for the q in the query string? Now, this I think is DOING EVIL, for both the site owner, AND the searcher. Wow Adrienne! Thanks so much for your awesome comment. I knew that Google was being very biased towards those choosing to pay for Adsense, but I had no idea it was this bad. I swear I honestly can’t figure out why they haven’t been convicted of violating anti-trust laws in the US. There’s no way anyone else could complete with them on a level playing field when they are doing everything possible to tip the scales permanently in their favor.